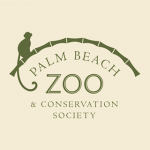 Extrabux.com offers a wide selection of Palm Beach Zoo coupon codes and deals and there are 24 amazing offers this April. Check out our 24 online Palm Beach Zoo promo codes and deals this April and get amazing 50% Off discounts. Today's top offer is :Up To 25% Off Individual Plus Or Family Yearly Membership At Groupon.